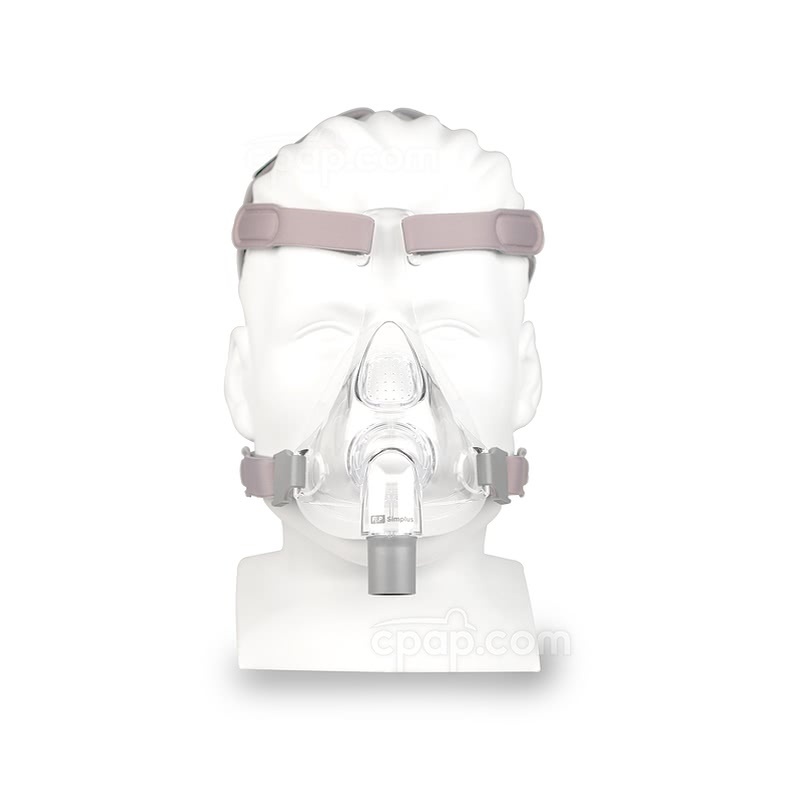 The Simplus Full Face CPAP Mask - Fit Pack is perfect for anyone who breathes through the mouth, or otherwise can't breathe through the nose during sleep. The Simplus has stability and flexibility with a design intended to help maintain an effective seal while being simple to use and easy to clean. For added convenience, this fit pack includes all three sizes of Simplus cushion to identify the appropriately sized cushion for the best fit. 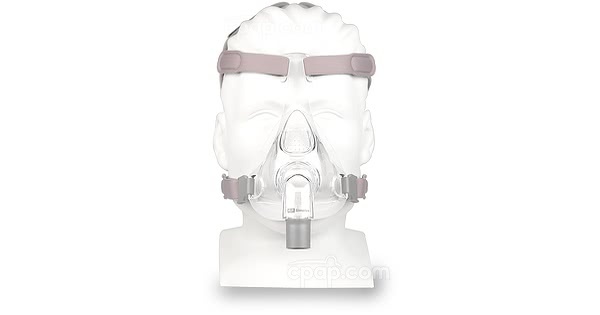 For customers who know the correct mask cushion size, the Simplus Full Face Mask with Headgear is available and comes with a cushion in a selected size. 12% of Full Face Mask product buyers choose this product. Breathe through the mouth during sleep? Trouble breathing through the nose? The Simplus Full Face Mask with Headgear - Fit Pack could be the solution! Covering both the nose and mouth, the Simplus Full Face Mask allows breathing in whatever way comes naturally. Its minimalistic design is intended to help prevent leaks with a flexible cushion and elbow. It has forehead support that's gentle, anchoring the cushion, while helping to maintain a good seal. The Fit Pack comes with all three sizes of cushion (Small, Medium, and Large), helping take the guesswork out of choosing a single size. Try the different sizes and find the cushion that works best. 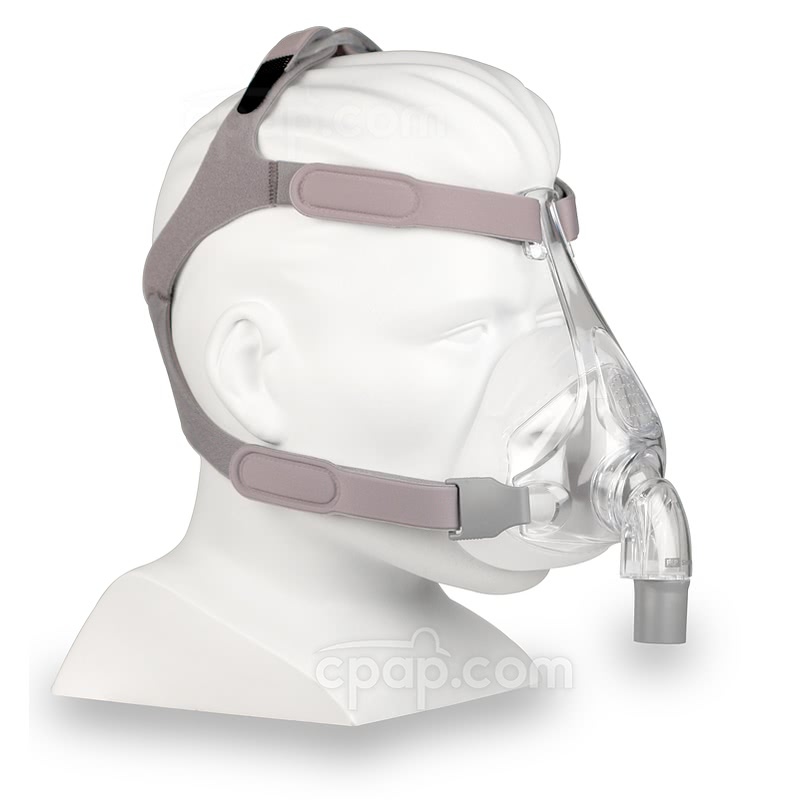 The Simplus Full Face Mask uses only three main parts: the headgear, frame, and cushion. A simple design makes cleaning easy, and disassembly is a breeze. The minimalistic design is easy to adjust for a better seal, optimal comfort, and reduced noise. Designed with helping reduce mask leaks in mind, the forehead support helps anchor the cushion in place. It's intended to provide additional stability while accounting for shifts in sleeping position during the night. 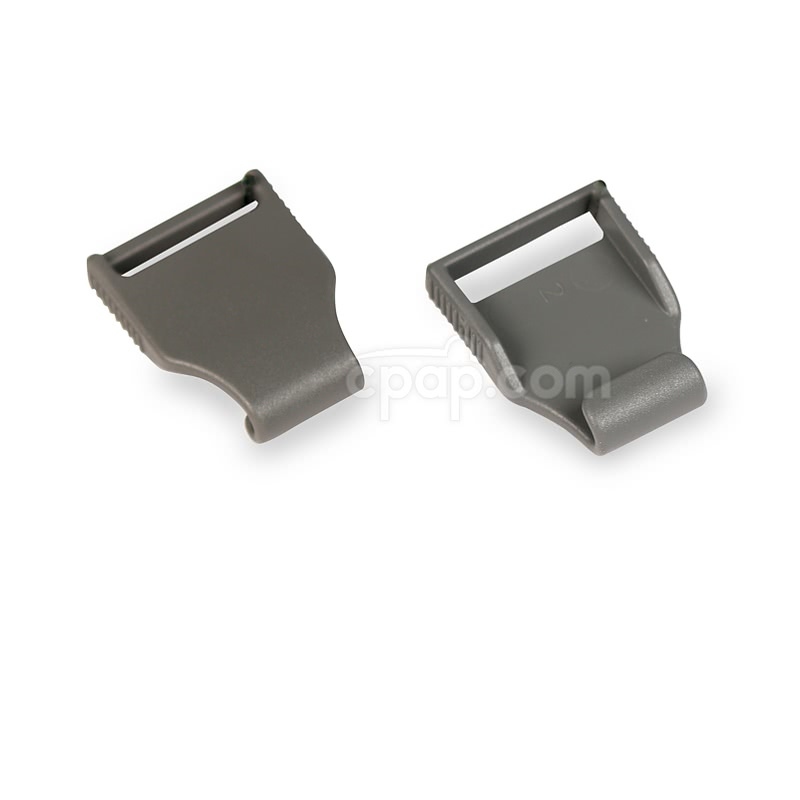 The frame is durable enough for long-term use, and it connects to the headgear using plastic clips. The plastic clips are easy to snap into place. The frame is lightweight but also robust, providing a support structure that allows the forehead support to help anchor the cushion in place. The ball and joint elbow provides freedom of movement for active sleepers. It uses a swivel that's designed to move during sleep, helping reduce tension and maintain a good seal. 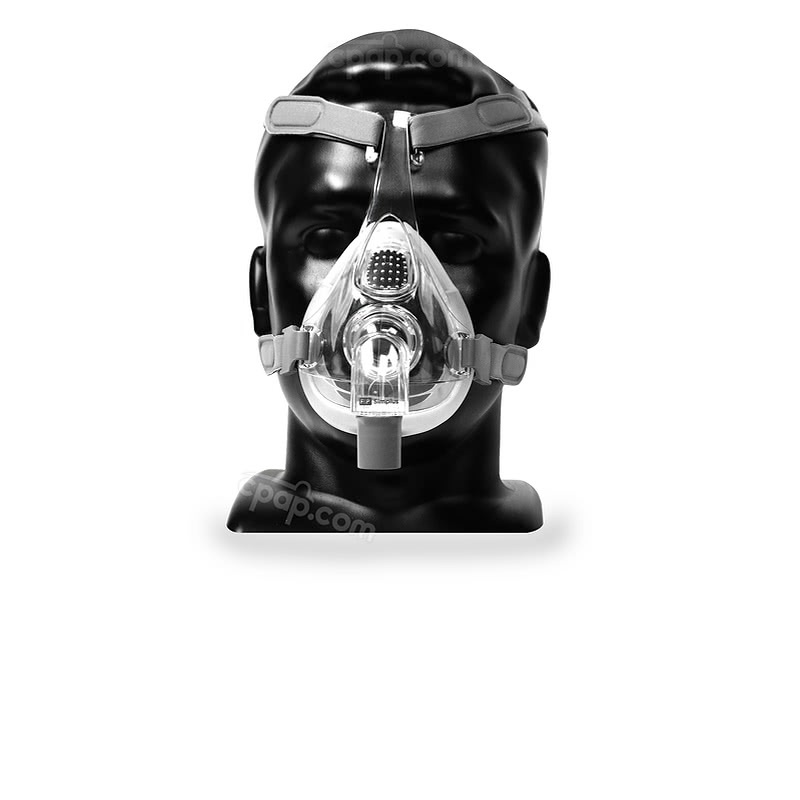 The elastic headgear provides firm support for the Simplus Full Face Mask. 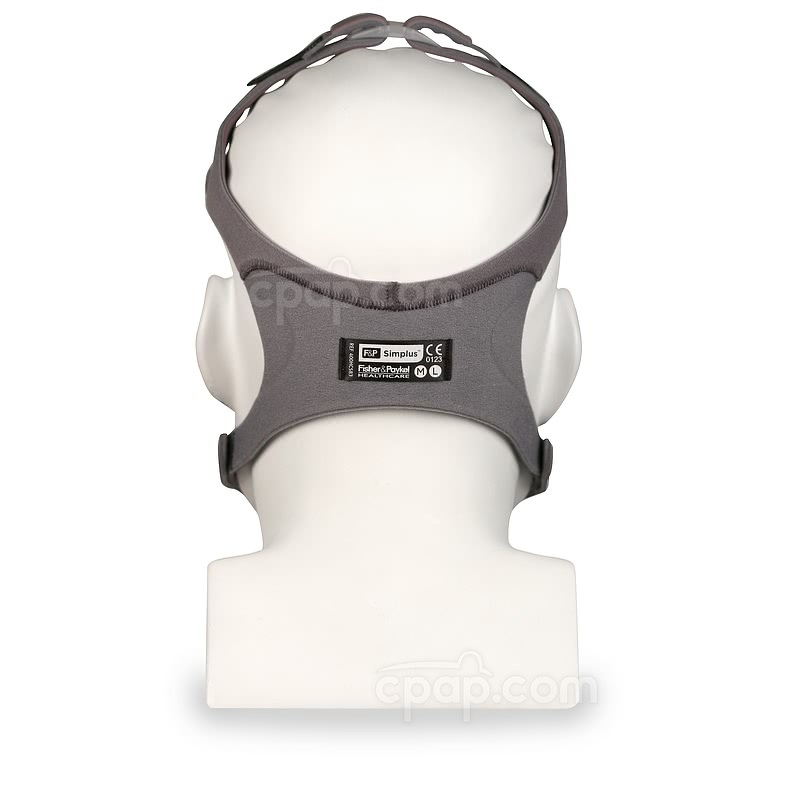 It uses velcro straps to tighten or loosen the headgear as needed for an optimal seal. The headgear is comfortable and durable. It can be entirely removed for cleaning. The cushion is designed to be flexible and maintain a good seal, conforming to different face types. The Rollfit Seal is flexible enough to shift during sleep and helps reduce leaks. The cushion can be adjusted easily around the bridge of the nose to help reduce noise, stop leaks, and direct the flow of exhaled air. Don't know which cushion fits best? The Simplus Full Face Mask - Fit Pack includes all cushion sizes (small, medium, and large). Try the different sizes to see which one works, and take the guessing out of it. Lock one headgear clip to the frame and place the cushion over the nose and mouth. Slide the headgear over the head. Lock the second headgear clip. Adjust the headgear straps at the top of the head first. The straps are adjusted by loosening the velcro and pulling tighter or allowing slack. Find a firm but comfortable fit. With the top headgear tightened, move on to the straps at the bottom, near the cushion. Tighten or loosen as needed. Cushion Note: The cushion of the Simplus is attached to an acrylic shell and they cannot be separated. This is intended to be permanently attached for easier assembly. Any size Simplus Cushion can be used with the Simplus Frame. The mask frame does not have an identifiable size because it offers a universal fit to each of the Simplus Full Face Mask cushions. The cushion sizes can be found on either side of the full face cushion. Hold the mask with the elbow facing the user. Turn the mask to the left or right to view the profile of the full face cushion. Near the middle of the cushion, the user will see a clear, embossed letter imprinted into an indention beginning at the bridge of the nose. The letter represents the size of the full face cushion. Cushion sizes are not universal. What may be a large for one mask might be a medium for another. HEADGEAR SIZE: The Simplus Full Face Mask ships with medium / large sized headgear. 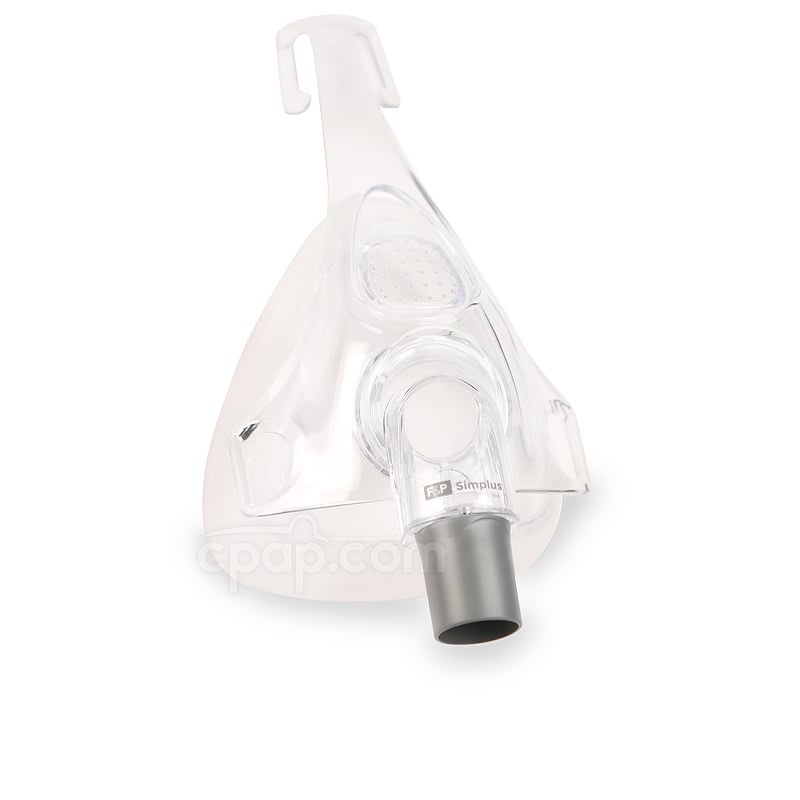 The exhalation port is on the top of the mask just above the nose. After attaching the mask over the nose and mouth, if air is blowing in the eyes, try adjusting the position of the mask and cushion over the bridge of the nose. It should be possible to reduce the feeling of air on the cheeks and eyes. If the mask makes a whistling noise, this could be because of air leaks. Try tightening the fit of the headgear, and adjusting the mask and cushion over the bridge of the nose. During normal operation, the mask should make very little noise. If red marks are appearing on the forehead or the face, this could be a sign the headgear is too tight. Try loosening the straps, and the red marks should go away. Cleaning should done regularly with either mild soap and water, or mask wipes, even if using a CPAP cleaner like the Lumin. All CPAP cleaners require a touchup after sanitization to remove debris and deposits.